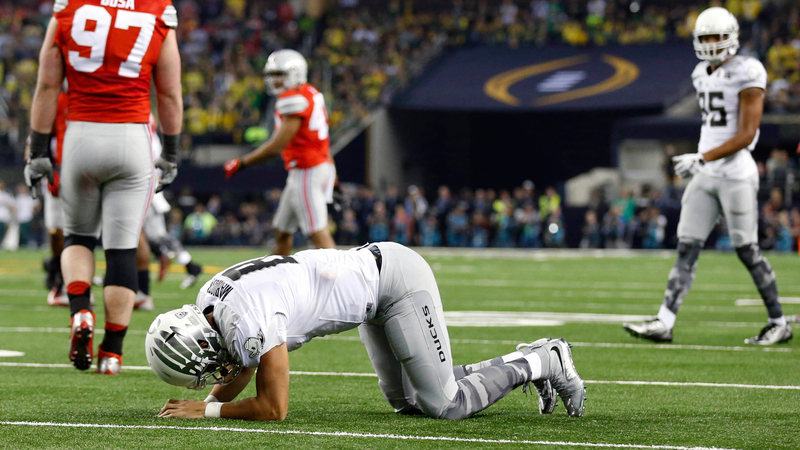 Ohio State star defensive end Joey Bosa is familiar with Oregon's uniforms choices. After all, he did play against the Ducks in the 2015 College Football Playoff national title game. Bosa has a younger brother, five-star defensive end Nick Bosa, who recently committed to Ohio State. When asked by a reporter on Monday if his brother committed to the Buckeyes because of the team's new black uniforms, the older Bosa threw some shade towards the Ducks. Joey Bosa on if black jerseys influenced his 5-star brother to commit to OSU: "He would have gone to Oregon if that's what he cared about."